Flow360 are committed to a rolling programme of updates and value add features to ensure that we give our customers the very best experience possible every time they log onto the software. We have recently completed a major server upgrade to help improve speed and connectivity. We managed this in 59 minutes - at a time when no users were online, thus creating the very minimum in downtime for the service. We also wanted to give you a brief overview of some of the software updates we have completed. We are now regularly tweeting and adding these to our FaceBook page, so if you have't already done so, please follow us on social media using the buttons at the top of this email. This affects all aspects of the software and has improved responsiveness significantly in most areas for all users using Flow360. These can now be grouped by employee role, employee site, employee group - this gives greater flexibility and clarity for creating and viewing matrix reports. Users can now also choose to include or exclude internal supervisions and appraisals in the training matrix reports - this gives better customisation for those managing training and qualifications. The reporting options for helpdesk issue lists now allow reports to be summarised by cost centre and/or account.This adds flexibility for those users needing quick on-the-fly summaries. Sessions now time out after 30 minutes inactivity and take the user automatically to the re-login page. This removes confusion over whether a session is still live and increases security of the system. It also gives a better user experience. 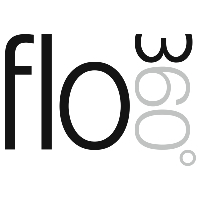 Don't forget to follow us on Twitter and Like us on FaceBook to get the very latest updates and news from the Flow360 Team. Copyright © 2015 Flow360 Limited, All rights reserved.